Cannon fire and fireworks are planned Friday, Nov. 2 and Saturday, Nov. 3 as part of the university’s Homecoming celebration. 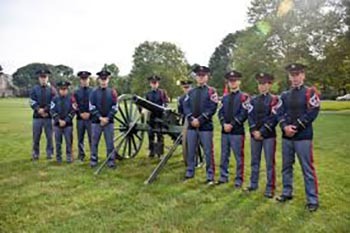 The Corps of Cadets cannon, Skipper, is scheduled to fire Friday afternoon at approximately 4 p.m. as part of the Pass and Review Ceremony on the Drillfield. On Friday evening, at 8:45 p.m. fireworks are planned as part of the Homecoming Spirit Rally at the Holtzman Alumni Center. On Saturday, the Skipper is also scheduled to fire at the start and end of Hokie Village and throughout the football game. On Sunday, Nov. 4, the university, in partnership with the Virginia Tech Indian Student Association, will host fireworks in the vicinity of the Drillfield as part of Diwali celebrations. The campus and surrounding community should be aware of potential noise amplification between 7:30 to 10 p.m.